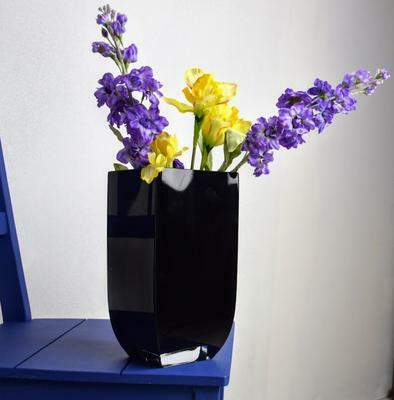 Simple and elegant, those are two things to adore with this Rectangular Vase Noir. 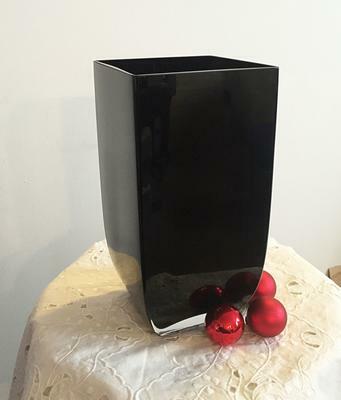 Part of an extensive range of sophisticated yet simple vases, this one includes an all black finish with a gorgeous clear bottom. 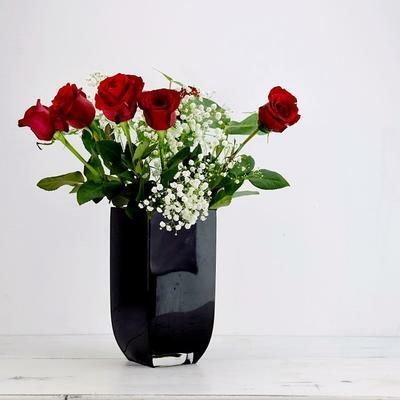 It features a large opening at the top so you can conveniently place your favorite blooms. Everything is handmade and with such a classic design, you can easily pair this with existing home decor or items. The vase is easy to clean as well. You can handwash this then dry with a non-abrasive cloth.